29.04.2019, 09:14 через 5 Дней 22 Часов 6 мин. 6 сек. 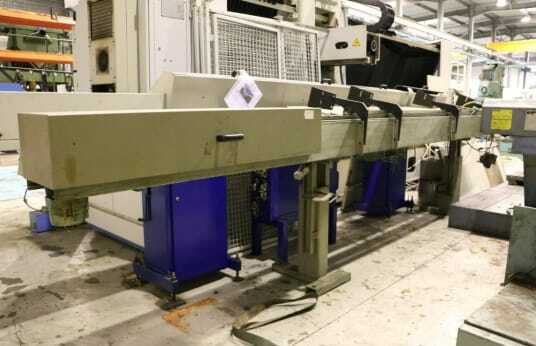 Bar feeder, Bar diameter 3 to 25mm, Bar length 4220mm, Height from floor to bar axis adjustable: 1010 to 1300mm - Magazine capacity: 56 bars - Ø 5mm - Motor: 1kw, Stock number 95948. ATTENTION: Machine loaded by overhead crane.